Citation: Cook-Sather, A. & Beattie, H. (2018). Strengthening Student Voice Work through “Linking Across the Lines”: A Story in Snapshots. International Journal of Student Voice, 3 (2). Abstract: In this article we use the organizing idea of “linking across the lines” to capture the goal and process of our work together. We are referring to lines that typically not only separate tertiary and secondary educational contexts and the roles of teacher and student but also impose hierarchical relationships upon both. Striving to link and equalize these traditional separations and hierarchies rather than accepting them, our voices as a university-based teacher-scholar and a school-based practitioner-consultant sometimes speak together and sometimes take turns telling the story of the consultations, collaborations, and professional growth through which we have endeavored to strengthen student voice work both within and beyond our own, respective contexts. We begin with some background on each of us and how we connected. Then, to capture the overall feeling of this story as well as individual moments within it, we present a series of snapshots under these headings: Finding the Links; Strengthening the Links; Linking Research and Practice through Collaboration; Forging Communities through Linking across the Lines; and Sustaining the Links. Interspersed between the snapshots are co-authored reflections in which we analyze how each snapshot captures a step in our story of striving to link across the lines. Integrated as both background and foreground in the snapshots and the reflections are glimpses of the larger story of student voice work as it has unfolded over time and in various countries. These glimpses feature some of the well-known pioneers in the history of student voice as well as emerging leaders. We hope our particular story will inspire others who work in different contexts and at different levels of the educational system to link across the lines that divide us and to strive toward more “radical collegiality” (Fielding, 1999) between teachers, students, and others in the realms of educational research and practice. It was Helen who initiated the conversation that began this story of our linking across the lines. A school psychologist and educational consultant in Vermont, she had founded an organization in 2008 called “Youth and Adults Transforming Schools Together (YATST).” The goal of the organization was to increase student engagement in learning and student voice in decision making by creating a partnership between students, faculty, and the community to increase relevance, relationships, rigor, and shared responsibility in Vermont schools. In 2010, Helen was working on a program that had developed in response to a finding in one school that there was a marked discrepancy between teachers’ perception that they “checked in regularly with students about their learning and adapted accordingly” (90%) and student perceptions of the same (33%). To address this discrepancy, teachers implemented a written (survey monkey) mid-semester feedback system to ensure that at least once during the semester, all students had an opportunity to give their teacher written feedback about how the class was going. They would also partake in (or witness) a follow-up discussion with the teacher about the survey findings and steps to be taken to adapt accordingly. Students also assessed their own role as learners, and set individual goals, reinforcing that learning is a partnership. This approach was spreading to other schools in the state for which Helen served as a consultant, and teachers had questions about how to process and act on the student feedback. Helen contacted Alison, whom she had met several months before and who had been facilitating a student-teacher partnership program in the context of her teacher education program at Bryn Mawr and Haverford Colleges in Pennsylvania since 1995. Through this program, called Teaching and Learning Together, secondary students positioned as pedagogical consultants partnered with prospective secondary teachers and engaged in semester-long dialogues with them prior to the college students’ semester of student teaching (Cook-Sather, 2002a, 2002b; 2006; 2009a; Cook-Sather & Curl, 2016). In addition, since 2006 Alison had been facilitating a student-faculty partnership program called Students as Learners and Teachers (SaLT), which was modeled on Teaching and Learning Together, as part of the educational development offerings for faculty at the same colleges (Cook-Sather, 2008, 2014b, 2016). An integral part of the latter program is a mid-semester feedback process through which student partners not enrolled in the courses under study gather and help interpret feedback from students who are enrolled in faculty members’ courses (Cook-Sather, 2009b). Acknowledging that the contexts and programs within which Alison works are different from the secondary schools in which her teacher collaborators were gathering student feedback, Helen wondered nevertheless if Alison had any materials or advice that she could share related to giving quality feedback (to prep the student body) or helping teachers respond to discrepant feedback. The story began, then, with a linking across the line drawn between different levels of schooling. Here is some of Helen’s background that led her to want to link across this line. A practitioner in the field, situated in the arena of middle and secondary education, Helen is the founder and Executive Director of UPfor Learning (Unleashing the Power of Partnership for Learning). Her seemingly eclectic professional and academic life course has woven itself into the creation of this organization, and it reflects a life-long passion for elevating the voices of those who feel disempowered and voiceless, either in the health or education realms (Dzur, 2014a, 2014b). Prior to this founding, Helen spent her first decade in the professional world focusing on health education and management. This phase was launched at the American Cancer Society when she was the Massachusetts Director of Service and Rehabilitation, and then Coordinator of the Cancer Information Service of the Dana Farber Cancer Institute. During this time, she pursued her Masters in Public Health from Boston University. Her subsequent position as the Internal Medicine Residency Education and Evaluation Coordinator at the U. Mass Medical Center afforded her the opportunity to simultaneously pursue her Doctorate in Education. This professional phase culminated in her move to Vermont and role as the Director of Northern Counties Health Centers, five rural community-based health centers in the Northeast Kingdom. At this juncture, Helen retrained as a licensed School Psychologist and Educational Consultant, returning to her first love in college as a child psychology major. After a brief period of time doing psychological evaluations, she has specialized in strategies to engage youth in school change efforts in order to shape their learning and build their leadership capacity as change agents. Her goal is to decrease referrals to school psychologists by empowering youth and helping educators better meet the needs of all learners, ensuring that the wisdom and potential of each and every child is fully mobilized. Helen has written multiple place-based and action research curricula that have been implemented statewide and replicated nationally, facilitated numerous student leadership and faculty development retreats, and taught a variety of Master’s level courses on school redesign, experiential education strategies and the elevation of young people as change agents. She is an ardent advocate for reshaping the conception of the role of students in learning and change, and she is committed to incorporating research-based practices into program development, as well as serving as a learning laboratory to further this nascent field of research. Alison’s background also led her to want to link across this line. In the mid-1980s she earned a Master’s degree at Stanford University, and then for five years she taught English at the secondary level in both public and private schools in California. She completed her doctoral work at the University of Pennsylvania and, in 1994, assumed the directorship of the teacher preparation program at Bryn Mawr and Haverford Colleges. That year, she and a secondary-teacher colleague began a collaboration to address a key problem they saw: that students’ voices were missing from college-based programs of secondary-teacher preparation. Together they designed Teaching and Learning Together. The goals of this project were to interrupt the standard distribution of power in education in various ways. First, it disrupted the hierarchy according to which theorists and researchers generate pedagogical knowledge and pass it down to teachers, who labor under perpetual pressure to implement every new or recycled reform, with students simply waiting on the receiving end of this transfer. Second, it brought into direct dialogue those preparing to teach with those who are taught, thereby altering the power dynamics that usually inform that teacher/student relationship. Finally, it brought into conversation high school students separated by the tracking systems, both acknowledged and implicit, that designate their schedules and in large measure determine their destinies (Cook-Sather, 2002a). Alison ran the Bryn Mawr/Haverford College teacher certification program and this partnership project within it for eleven years. Then, starting in 2006, with a grant from The Andrew W. Mellon Foundation, she shifted her focus to supporting student voice and student-teacher partnerships in the context of educational development for college faculty through SaLT. Building on the partnership model at the core of Teaching and Learning Together, SaLT also aims to disrupt the hierarchy according to which faculty have and deliver knowledge and students receive it. By positioning undergraduate students in partnerships through which they can draw on their experiences and expertise as students with a diversity of identities to inform conversations about and practices of teaching and learning, this program opens up dialogue between professors and students, affording each new angles on what happens and what could happen in higher education classrooms. The SaLT model—semester-long, one-on-one, pedagogical partnerships between students and faculty focused on pedagogical practices and curricular design and redesign—has been emulated at colleges and universities across the United States and around the world. It has become a particularly important model for affirming the identities and insights of underrepresented students in the role of pedagogical partner (Cook-Sather, 2018; Cook-Sather, 2015; Cook-Sather & Agu, 2013; Cook-Sather et el., forthcoming; de Bie et al., under review). As background information suggests, our story also began with a focus on how to link across the line typically drawn between students and teachers at both secondary and tertiary levels—the line that separates those who do the teaching from those who do the learning. The premises of respect, reciprocity, and shared responsibility (Cook-Sather, Bovill, & Felten, 2014) between teachers and students in teaching and learning that underpin YATST, Teaching and Learning Together, and SaLT constituted and called for further links across that line between teaching and learning. We wondered what additional approaches we could generate together that would foster “a much more open partnership between teachers and students”—that would support teachers in embracing “‘a communal venturing forth’” and “a commitment to the mutuality of joint exploration” (Fielding, 2007, p. 324). These radical goals for more reciprocal pedagogical relationships between students and teachers, articulated here by the pioneer of student voice, the late Jean Rudduck, and honored and argued for by one of the longest standing and most eloquent proponents of student voice, Michael Fielding, were ones that we embraced and were finding ways to enact, but we hoped that, by working together, we could go further. The dialogue that followed that first conversation and the story of the consultations, collaborations, and professional growth through which we have strengthened student voice work are the subject of this article. We offer snapshots from the years’ long unfolding of our story, much of which took form in the context of summer student voice seminars supported by Jean Rudduck’s legacy at the University of Cambridge. Interspersed between the snapshots are co-authored reflections in which we analyze how each snapshot in our story captures a step in our ongoing effort to link across the lines. Integrated as both background and foreground in the snapshots and also as part of the reflections are glimpses of the larger story of student voice work as it has unfolded over time and in various countries. These glimpses feature some of the well-known pioneers in the history of student voice as well as emerging leaders. We hope that our story can offer others, who labor in different geographical locations, institutional types, and professional roles, inspiration and strategies for linking across whatever lines separate you, for strengthening student voice work in your realms of policy making, research, and practice, and for striving toward more “radical collegiality” (Fielding, 1999) between teachers, students, and others in education. Helen: I felt a sense of isolation as the co-founder of YATST, with a vision to shift an entrenched student-teacher paradigm that positions the teacher as expert and student as largely passive recipient of learning. Alison’s 2002 publication, “Authorizing Students’ Perspectives: Toward Trust, Dialogue, and Change in Education,” was the first article I read that captured the essence of my nascent vision and mission and provided a theoretical framework that would have profound implications for the evolution of the organization. The work was suddenly elevated to a larger research-based effort and validated as a meaningful endeavor. I frequently returned to the article, and this quote in particular: “The twin challenges of authorizing student perspectives are (a) changing the structures in our minds that have rendered us disinclined to elicit and attend to students’ voices and (b) changing the structures in educational relationships and institutions that have supported and been supported by this disinclination” (p. 4). In essence, Alison’s door into academia “authorized,” informed, and inspired my work. Alison became a steadfast mentor and guide, ever responsive to my emails and phone calls as I ventured into unchartered territory. Our relationship diminished my sense of isolation and doubt when faced with skeptics. It provided a credible path for the organization’s development that was defensible because of its research base. Importantly, Alison renewed my confidence that this work mattered when addressing the inevitable challenges, and seeded my conviction to contribute to research in this field. Re-present the data gathered to the students. It’s important to tell them ahead of time that their feedback will be shared with others, anonymously, of course, but nevertheless. When they see the range of responses of their peers, they gain insight into the diversity in the classroom, where they fit into a bigger picture, and the challenge their teacher faces in trying to be responsive to student feedback. Identify some feedback you are willing to act upon and explain why it makes sense to you, pedagogically, to make the changes the students suggest. Important here is the pedagogical rationale: a reasoned explanation that highlights how the changes will improve student learning. Identify some feedback you are not willing to act upon and explain why it does not make sense, pedagogically, to make the changes the students suggest. It is essential to do this in a non-defensive way—to offer a reasoned, but not defensive, explanation. Ask/invite students to think with you about how to address the discrepancies in the feedback (e.g., half the students hate something, half love the same thing; you move too fast, you move too slowly; etc.). Articulating these aspects of the feedback process that I had developed in partnership with student consultants in SaLT, I gained some distance on them and was able to refine the language I use in the handbook I have developed for students and faculty who work in partnership at Bryn Mawr and Haverford Colleges, articulating more clearly both the feedback processes and the reasons for them. Helen: Alison’s suggestions were integrated into our “Student-Teacher Mid-Semester Feedback” module and became central to coaching the YATST teams as they confronted student-teacher feedback implementation challenges. The pragmatic advice was well received. It was also helpful to be able to reassure teachers who felt threatened by this new process that it was in fact being integrated into teacher preparation and faculty development programs as a powerful tool for continuous improvement on a national level. Once again, being able to validate the work both in terms of its national reach and research contexts elevated the credibility of our efforts, positively impacting teacher buy-in. Helen’s search for partners and for theoretical grounding in student voice work and Alison’s revisiting and revising of how to support teachers in soliciting and responding to student feedback were strands in a larger story unfolding around the commitment to student voice. Since the 1990s scholars and critics in Australia, Canada, England, and the United States had been developing arguments for what Rudduck and Flutter (2000), writing in England, called “carving a new order of experience” through which we would view schools from students’ perspectives and invite them to be active participants in shaping their educational experiences. Writing in Australia, Danaher (1994) had asserted: “Instead of treating school students as voices crying in the wilderness, we would be far better served if we asked the voices’ owners what they think and listened actively to the answers” (quoted in Youens & Hall, 2004). In Canada, changes in policy and practice were being driven by Fullan’s (1991) question, “What would happen if we treated the student as someone whose opinion mattered?” (1991, p. 170), and by Levin’s (1994) argument that the most promising reform strategies involved treating students as capable persons, capitalizing on their knowledge and interests, and involving them in determining goals and learning methods began to shape government policies as well as school practice (see also Levin, 2000). And in the United States, Kozol (1992) asserted that “the voices of children…have been missing from the whole discussion” of education and educational reform (p. 5), and Weis and Fine (1993) invited “the voices of children and adolescents who have been expelled from the centers of their schools and the centers of our culture [to] speak” (p. 2). Our particular conversation across the lines of levels of school and roles of teachers and students was informed by and in turn informed this widening conversation and unfolding story. Finding and affirming one another’s efforts and situating them within this larger story gave us perspective, provided us with support, and were both personally and professionally energizing. Alison: In 2010 I visited the University of Cambridge to launch Learning from the Student’s Perspective: A Sourcebook for Effective Teaching, which had been published the previous year. While I was there, Julia Flutter suggested that I consider looking into spending a longer time at the university as a visiting scholar, which I did. With the support of John Gray and funds from Jean Rudduck’s legacy, I became the Jean Rudduck Visiting Scholar, an appointment that lasted from 2010-2015. Julia’s vision and John’s generosity in helping to conceptualize and institutionalize this role made it possible for me to build on Jean’s legacy in the very institution where she had pioneered so much student voice work. This was deeply meaningful to me both personally and professionally, and the weeks I spent in Cambridge each summer remain vivid chapters in my own student voice story. In the role of Jean Rudduck Visiting Scholar and in collaboration with colleagues at the University of Cambridge, including Julia, John, Helen Demetriou, Bethan Morgan, and Lena Bahou, I designed and led a series of five summer seminars. These seminars ran from 2011 through 2015 and brought together teachers, scholars, policy makers, and students from around the world to reflect on and plan for further student voice work. As I was planning the first summer seminar, I sent Helen this message: “Inspired by your fabulous work with YATST, I write to invite you to participate in ‘Student Voice: Past Efforts, Current Trends, and Future Possibilities,’ a one-day seminar to be held on 1 July 2011 at the University of Cambridge.” I wanted Helen to share her amazing work with others and also have the opportunity to be in dialogue with others undertaking—or aspiring to undertake—similar efforts. At that first seminar, I gave a keynote called “Linking Across the Lines” in which I argued for a number of different kinds of such linking. One was linking differently positioned players across different educational settings to support their individual efforts and to gain insights into cross-cutting issues, as Helen and I had done. Another was linking efforts in the primary and secondary realms to efforts at the tertiary level, which often remain separate and distinct. Yet another was linking those who grouped their efforts under the umbrella of student voice work, more typical in K-12 contexts, with those who situate their efforts in the Scholarship of Teaching and Learning, which span the disciplines in higher education. The design of the seminar aimed to include exposure to the history and evolving practices of student voice, opportunities for participants to share their projects, insights, and questions, and time to plan what everyone wanted more or less of the following year. Michael Fielding, of the Institute of Education, University of London, UK, spoke on partnerships between young people and adults as a form of “radical collegiality” and as a form of “inter-generational learning.” Jean Courtney and Andrew Pawluch spoke about their work on the SpeakUp program through the Ontario Student Voice initiative, instigated by the Ministry of Education in Ontario, Canada. And Alison Peacock, Head of The Wroxham School and National Leader of the Cambridge Primary Review Network, presented a video of her primary students and let them speak for themselves about the ways in which Alison and her colleagues have created “a listening school.” Participants from Australia, Brazil, Canada, England, Italy, The Netherlands, Scotland, Spain, the United States, and Wales had time to share their stories and imagine new chapters. Helen: A significant aspect of Alison’s mentorship was an invitation to the Cambridge gathering. The impact of this exposure to Jean Rudduck’s work and leaders in this field on an international level both informed and inspired the development of my efforts. This influence was far more than a well-designed seminar that has immediate impact but soon fades. My participation in the seminar and the network that has evolved subsequent to my three trips to take part in the seminar series has been a primary catalyst for my work and contributor to the integrity and impact of our efforts. At the seminars, I was exposed to a world of research that I had barely glimpsed, as a generally overwhelmed field-based practitioner and solo staff for the first five years of the development of my organization. Student voice in my realm was often tokenized and little understood as a key aspect of school change. Few shared my passion. Attending my first seminar felt like I had landed in an oasis! It validated much of what I believed but could not adequately defend, and expanded my understanding of the varied “doors” into this work. It was the antidote to my sense of isolation and being an “outlier.” It fueled my commitment to this work and informed much of my organization’s design. Alison: It was challenging to design a seminar that facilitated dialogue among policy makers, scholars, students, and practitioners working in primary, secondary, and tertiary contexts. People used different language for related practices, experienced different institutional, local, and national supports and constraints, and were responsible for different processes and outcomes in their home institutions. The relief and gratitude Helen and others expressed at having a forum within which they did not have to defend student voice work energized me and pushed me to find ways to facilitate linking across the lines. Helen’s energy fed mine, and although I had become somewhat accustomed to laboring in solitude in my programs at Bryn Mawr and Haverford, I felt the same relief Helen did in knowing that, even if we used different language and worked in different contexts, we were working together in a shared space and toward similar goals. The field-based challenges Helen faced prompted to me to revisit, yet again, both the theories I generated and the practices in which I was engaged at the tertiary level, both for how they might translate to other levels and for how they might be improved by the insights Helen’s work generated. It also inspired me to bring into dialogue leaders in the British context, such as Fielding (2004, 2011), Neary (2010), and Bragg (2001, 2007), with leaders in other contexts including Scotland (Bovill, 2013), Italy (Grion, 2017; Grion & Cook-Sather, 2013), the Netherlands (Bron & Veugellers, 2014), and the United States (Felten, 2013; Mitra, 2001, 2004, 2007), among others. These leaders benefited from the dialogue, informed the research of people like Helen whose work is primarily in practice, and enjoyed opportunities to extend their own research. Helen’s experience of meeting people and discovering theoretical frameworks and Alison’s experience of wrestling with how to bring together scholars, practitioners, policy makers, and students from different arenas illustrate both the power and the challenges of linking across the lines. How might Mike Neary’swork on students as producers at University of Lincoln and Peter Felten’s arguments for the necessity of productive disruption in higher education in the United States inform one another? What insights into assessment at all levels might every one gain from Laura Lundy’s (2012) work on children’s rights at Queen’s University, Belfast, in Northern Ireland, Roseanna Bourke’s (2010) work on young learners’ self-assessment at Victoria University, Wellington, New Zealand, and Roger Holdsworth’s (2007) decades’ long work as editor and publisher of Connect through the Youth Research Centre, University of Melbourne, Australia? And what were the best ways to ensure that we heard students’ own voices as much as we could during these seminars? These were some of the questions we addressed in subsequent seminars. As we all celebrated the underlying commitments we had in common and worked to forge connections across our differences, already established understandings were reinforced and new insights emerged. All of these constituted strengthenings of the links across the lines and moved us from conversations to collaborative research projects and co-authored publications. Helen: I was committed to utilizing research-based practices, but as noted, lacked significant exposure to the leaders in the field. I was a licensed school psychologist by training, but that training did little to help me when I took a different route into systems change. Most of our initiative models are based on a participatory action research. Michael Fielding’s and Sarah Bragg’s (2003) work was so helpful. One particular outcome of my participation in the seminars, stemming from the first summer, has been my evolving relationship with Dr. Dana Mitra from Penn State University. We met at the first seminar and she took an interest in my work as an exemplar and learning laboratory of sorts. I hired Dana to conduct our 2012 year-end evaluation. Her doctoral student, Dr. Catharine Biddle, subsequently focused her doctoral research on my organization and has co-authored with Dana a number of papers based on her dissertation (e.g., Biddle, 2017; Biddle & Mitra, 2015). In fact, we all co-presented at the American Education Research Association conference two years ago. Dr. Biddle continues to evaluate a number of our individual initiatives and intends to continue to publish this research. And I am partnering with Dana Mitra relative to her Boston-based Foundation research fellowship (Students at the Center) to utilize UP for Learning and Vermont as her research learning laboratory re: personalized learning. Alison: Engaging in conference presentations that feature the voices of researchers, practitioners, and students in venues such as the annual meeting of the American Education Research Association begins to change the culture and norms of such venues, or at least create liminal spaces within which people who do this work can gather. Helen mentioned above that doing student voice work, especially in the United States—one of only two countries not to ratify the United Nations Declaration of the Rights of the Child—can be isolating. Learning how to link across the lines in the supportive context of the seminars equipped us all to return to our respective contexts with new ideas and new energy about how to sustain and expand this work. Formulating ways to present to a wider audience pushed us all to find language that would be accessible to people not already committed to and engaged in the work, and it afforded us opportunities to learn from them about what makes such efforts workable in their contexts. Helen: In addition to my collaborations with Dr. Dana Mitra and Dr. Catharine Biddle, I made a number of other important professional connections at the seminars. Jean Courtney’s work in Toronto has been very influential on the development of my model (and to a far lesser degree, vice versa) (Courtney, 2014; SpeakUp). Jean has become a cherished colleague and friend—one of the few that understands deeply the trials and joys of attempting to impact public education. Ari Sussman, a NYC youth voice leader, also attended one of the seminars. We had precious time both within program sessions as well as in leisure time to share stories and inform each other’s practices. These relationships have been sustained. I also had the pleasure of dovetailing a trip to family in Sydney, Australia, with a site visit to Eve Mayes’ last session at a school she where she was conducting her doctoral research. Roger Holdsworth has published several stories about our work in his journal, Connect, and we have learned from his remarkable resources as well. I also now have ties to professor Emily Nelson in New Zealand, who has visited one of my programs when she was here recently. And of course, I treasure a continued relationship with Bethan Morgan at Cambridge University. Helen’s examples of making both personal and professional connections and Alison’s focus on changing cultures and making spaces that support linking across the lines highlight how this is both interpersonal and institutional work. The structured and unstructured times during conferences allow friendships and projects to emerge, such as the project Valentina Grion and Alison (2013) developed to highlight student voice work as an emerging concept and set of practices in Italy. This project led in turn to a group of students and faculty at three universities in Italy producing a special issue of Teaching and Learning Together in Higher Education. Our ongoing efforts to ensure that we heard student voices led to the creation of seminar sessions in which students became the teachers, and faculty, policy makers, and practitioners became the learners. Students from The Phoenix Education Trust in the UK and from The Association of Danish Pupils in Denmark shard their perspectives and led us through reflective activities, and student voices from Australia, Hong Kong, India, post-war Lebanon, New Zealand, Sweden, the United Kingdom, and the United States were channeled through practitioner and scholar presentations. When the links across the lines are forged in person and in print, in lived spaces and in published texts, they both nurture while people are present to one another and sustain the people and the work when participants return to their respective contexts. Alison: Finding a “community” in a professional setting and forging links with a variety of scholars and practitioners can inspire spreading word about student voice work beyond conference presentations. Helen’s article, “Amplifying Student Voice: The Missing Link in School Transformation,” published in Management Education, recounts the story of how Vermont is systematically amplifying student voice through school transformation efforts across a network of secondary schools (grades 9 through 12; ages 14 to 18) through the YATST organization, which provides training and support for students and educators (Beattie, 2012). Helen and two colleagues published an article in Educational Leadership, one of the most widely respected journals in the educational practitioner domain in the United States, called “The Case of the Missing ‘R’” (shared responsibility), in which they make a strong case for “getting students to real decision-making tables” (Beattie, Rich, & Evans, 2015, p. 67). The first of thesewas one of the references I included in “Student Voice in Teacher Development,” published in Oxford Bibliographies on Education (Cook-Sather, 2014a), and second serves as a frame for videos showcasing the work of UP for Learning (http://www.upforlearning.org/about-us/sr-video). In these ways, accounts of student voice work make their way into a variety of scholarly and school- and community-based venues. Helen: The International Journal of Student Voice was an outgrowth of the summer seminars, conceived and developed through multiple conversations that took place in Cambridge. We discussed what form the journal should take, what it should be called, and who should assume responsibility for maintaining it. Dana Mitra followed up with Penn State University colleagues and was able to establish this new peer-reviewed journal to accelerate research dissemination in this field. Among the core commitments of the journal are to utilize language that is accessible to all stakeholder groups, to ensure access to new research and concepts across practice settings, and to reinforce linkages between stakeholder groups. In addition, a fairly active Facebook list serve, “Student Voice Research and Practice,” has also been sustained. The term “community” evokes shared values and interests, shared living spaces, and a shared cultural and historical heritage. While we experienced a sense of community in the context of the Cambridge seminars, they lasted only a few days each year; for the most part, we do not live in the same spaces. However, building on our shared values and interests in supporting student voice, we have created virtual spaces—individual publications and a web-based journal—through which we continue to evoke our shared cultural and historical heritage. The culture we embrace is one “saturated both with the enthusiasms and aspirations of education as a communal practice and with democracy as an essentially educative engagementwith each other and the world around us” (Fielding, 1999, pp. 17-18). Our history can be traced from the 1990s to the present, led by pioneers such as Jean Rudduck and carried forward by all those in K-12 educational contexts, policy-making bodies, and institutions of higher education who embrace an ethic of reciprocity—a “process of balanced give-and-take not of commodities but rather of contributions: perspectives, insights, forms of participation” (Cook-Sather & Felten, 2017a, p. 181). These commitments keep student voices in dialogue with teacher and leader voices. Alison: When support for the Cambridge summer seminars came to an end and it was time for my role as the Jean Rudduck Visiting Scholar to end as well, we spent considerable time thinking about how to sustain the seminars. The participants in that final Cambridge seminar in 2015 brainstormed a range of ways to carry forward both the spirit of and the space for linking across the lines. Helen had drafted a proposal for hosting the conference in the state of Vermont, where she had already accomplished so much in terms of student voice and partnership. Participants in the final Cambridge seminar agreed that this would be a promising way forward. Helen: Perhaps the greatest testimony to Jean Rudduck’s legacy is the continuation of the annual convening in the United States. Attending the Cambridge seminars allowed me to better understand our nascent field of research and fueled my conviction to foster research to further validate and inform our change efforts. There was simply no way that I was going to let such a rich learning context fade into the past, at the end of the series. It had meant too much to me, and to many others as well. It was time to “pay it forward,” with deep gratitude for all that my days in Cambridge brought to my professional life and my organization. Alison: When Helen took over leadership of the summer seminars, moving them to Vermont and further adapting them to the ever-evolving needs and interests of participants, I shifted roles. I contributed a keynote to the first seminar in Vermont that traced the roots of my work with student voice, which has grown both alongside and subsequent to Jean Rudduck’s work. The opportunity to step back and trace the history, and share it with current participants, gave me a chance to see how much we have accomplished. I also had the opportunity to engage as a participant in the seminar that summer, meeting with scholars, teachers, and students in various sessions, and linking up with people whose work I have read but whom I had not had the opportunity to meet. Just as Helen forged links with people from different educational levels and contexts when she participated in the Cambridge seminars, I forged links with new colleagues and have sustained connections with them. As a result of meeting Colin Bryson, for instance, editor of Student Engagement in Higher Education Journal, I was invited to write an opinion piece for that journal (Cook-Sather & Felten, 2017b) and to offer the keynote address at his 2017 RAISE symposium (Cook-Sather, in press). These connections both extend my network and push me to expand my analyses of student voice work and student-faculty pedagogical partnership. Helen: Like Alison, this work has had a significant impact on my professional standing and elevated our credibility in public education change efforts. My organization, renamed “Unleashing the Power of Partnership for Learning” or “UP for Learning,” was honored by the New England Secondary Schools Consortium as an exemplar in the state in the spring of 2016. We have partnered with the Agency of Education to place students (as partners with adults) in the forefront of educational change in Vermont in several recent initiatives (UP Winter Newsletter, pgs 6 & 9). We also have a strong partnership with the Vermont Department of Health who supports two of our four initiatives, seeing this work as integral to the health and well being of young people. We have replicated one of our initiatives (Getting to Y: Youth Bring Meaning to the Youth-Risk Behavior Survey) in New Mexico which is now sustained by the University of New Mexico, and are beginning to join national networks and expand our geographic reach across our initiatives. And we were nominated by the Nellie Mae Education Foundation as one of seven organizations in New England for a Youth Organizing award.UP for Learning has passed a tipping point of credibility in the school change realm, augmented by a trend to support student-centered learning nationally. The multiple ways we have found to link across lines have made us stronger and more energized. They have made us more able to communicate across differences of all kinds in our work because we have spent so much time finding language, translating commitments across contexts and relationships, and learning to navigate new areas by forging new links. We celebrate both the evolution of this particular linking across the lines and hope it serves as inspiration for others. What interests in and insights into student voice can emerge when practitioners, scholars, and students link across lines of institutional type and level? In what ways have you collaborated with practitioners and/or researchers across contexts and educational levels to support student voice? Alison Cook-Sather is Mary Katharine Woodworth Professor of Education at Bryn Mawr College and Director of the Teaching and Learning Institute at Bryn Mawr and Haverford Colleges. Her research focuses on how differently positioned participants in education can work together toward deeper learning and on how various metaphors and the classical anthropological concept of liminality can be used to analyze how education is and might be conceptualized and practiced. Supported by grants from the Ford Foundation, The Arthur Vining Davis Foundations, and The Andrew W. Mellon Foundation, Dr. Cook-Sather has developed internationally recognized programs that position students as pedagogical consultants to prospective secondary teachers and to practicing college faculty members. She has published over 80 articles and book chapters and given as many keynote addresses, other invited presentations, and papers at refereed conferences in Australia, Brazil, Canada, Italy, New Zealand, Spain, Sweden, the United Kingdom, and throughout the United States. She has published five books including Engaging Students as Partners in Learning & Teaching: A Guide for Faculty (co-authored with Catherine Bovill and Peter Felten, Jossey-Bass, 2014), Learning from the Student’s Perspective: A Sourcebook for Effective Teaching (Paradigm Publishers, 2009), and International Handbook of Student Experience in Elementary and Secondary School (co-edited with Dennis Thiessen, Springer Publishers, 2007). She is also founding editor of Teaching and Learning Together in Higher Education and founding co-editor of International Journal for Students as Partners. From 2010-2015, she was the Jean Rudduck Visiting Scholar at the University of Cambridge in England. Helen Beattie is the founder and Executive Director of UP for Learning (Unleashing the Power of Partnership for Learning). Her seemingly eclectic professional and academic life course has woven itself into the creation of UP for Learning. It reflects a life-long passion for elevating the voices of those who feel disempowered and voiceless, either in the health or education realms. Helen has written multiple place-based and action research curricula which have been implemented statewide and replicated nationally, and taught a variety of Master’s level courses on school redesign, experiential education strategies and the elevation of young people as change agents. She holds a Master’s in Public Health and Doctorate in Education. She is an ardent advocate for reshaping the conception of the role of students in learning and change and contributing to research in this domain. Beattie, H. (2012). Amplifying student voice: The missing link in school transformation. Management in Education,26, 3, 158–160. Biddle, C. (2017). Trust formation when youth and adults partner for school reform: A case study of supportive structures and challenges. Journal of Organizational and Educational Leadership, 2, 2, 1–29. Bourke, R. (2010). The chameleonic learner: Learning and self-assessment in context. Wellington: New Zealand Council for Educational Research. Bragg, S. (2001). Taking a joke: Learning from the voices we don’t want to hear. Forum, 43, 2, 70–73. Bragg, S. (2007). “It’s not about systems, it’s about relationships”: Building a listening culture in a primary school. In D. Thiessen & A. Cook-Sather (Eds. ), International handbook of student experience in elementary and secondary school. Dordrecht, The Netherlands: Springer Publishers. Bron, J., & Veugellers, W. (2014). Why we need to involve our students in curriculum design. In Curriculum and Teaching Dialogue. Flinders, D. J., Uhrmacher, P. B., & Moroye, C. M. (Eds.) Vol 15, 1 & 2, 125–139. Cook-Sather, A. (2018). Listening to equity-seeking perspectives: how students’ experiences of pedagogical partnershipcan inform wider discussions of student success. Higher Education Research and Development. Cook-Sather, A. (in press). What our uses of theory tell us about how we conceptualize student-staff partnership. Student Engagement in Higher Education Journal, 1, 3. Cook-Sather, A. (2015). Dialogue across differences of position, perspective, and identity: reflective practice in/on a student-faculty pedagogical partnership program.Teachers College Record117, 2. Cook-Sather, A. (2014a). Student voice in teacher development. In Luanna Meyer (Ed. ), Oxford Bibliographies in Education. New York: Oxford University Press. Cook-Sather, A. (2014b). Multiplying perspectives and improving practice: What can happen when undergraduate students collaborate with college faculty to explore teaching and learning. Instructional Science: 42, 31–46. Cook-Sather, A. (2009a). Learning from the Student’s Perspective: A Sourcebook for Effective Teaching. Paradigm Publishers. Cook-Sather, A. (2009b). From traditional accountability to shared responsibility: The benefits and challenges of student consultants gathering midcourse feedback in college classrooms. Assessment & Evaluation in Higher Education, 34, 2, 231–241. Cook-Sather, A. (2008). “What you get is looking in a mirror, only better”: Inviting students to reflect (on) college teaching. Reflective Practice 9, 4, 473–483. Cook-Sather, A. (2006). The “constant changing of myself”: Revising roles in undergraduate teacher preparation. The Teacher Educator, 41, 3, 187–206. Cook-Sather, A. (2002b). Re(in)forming the conversations: Student position, power, and voice in teacher education. Radical Teacher, 64, 21–28. Cook-Sather, A. (2002a). Authorizing students’ perspectives: Toward trust, dialogue, and change in education. Educational Researcher,31, 4,3–14. Cook-Sather, A., & Agu, P. (2013). Students of color and faculty members working together toward culturally sustaining pedagogy. In To Improve the Academy: Resources for Faculty, Instructional, and Organizational Development, 32, edited byJames E. Groccia and Laura Cruz, 271–285. San Francisco, CA: Jossey-Bass. Cook-Sather, A., & Felten, P. (2017b). Where student engagement meets faculty development: how student-faculty pedagogical partnership fosters a sense of belonging. Student Engagement in Higher Education Journal, 1, 2. Cook-Sather, A., & Felten, P. (2017a). Ethics of academic leadership: Guiding learning and teaching. In Frank Wu & Margaret Wood (Eds. ), Cosmopolitan Perspectives on Becoming an Academic Leader in Higher Education(pp. 175–191). London: Bloomsbury Academic. Cook-Sather, A., & Curl, H. (2016). Positioning students as teacher educators: Preparing learners to transform schools. In Anthony Montgomery & Ian Kehoe (Eds. ), Reimagining Schools. Springer Publishers. Cook-Sather, A., Marquis, E., Ntem, A., & Prasad, S. K. (forthcoming). Mobilizing a culture shift on campus: Underrepresented students as educational developers.New Directions for Teaching and Learning. Danaher, P.A. (1994). Pupil perceptions of the teacher education practicum: The results of two surveys administered in a Melbourne independent secondary school. Journal of Education for Teaching 21, 25–35. de Bie, A., Marquis, E., Cook-Sather, A., & Luqueño, L. (under review). Valuing knowledge(s) and cultivating confidence: Contributing to epistemic justice via student-faculty pedagogical partnerships. In International Perspectives in Higher Education: Strategies for Fostering Inclusive Classrooms, edited by Jaimie Hoffman and Patrick Blessinger. Emerald Publishing. Dzur, A. (July 2014b). Democracy in Schools 2: A conversation with Helen Beattie. The Good Society. Felten, P. (2013). Principles of good practice in the scholarship of teaching and learning. Teaching and Learning Inquiry 1(1), pp. 121–125. Fielding, M. (2007). Jean Rudduck (1937-2007) ‘Carving a new order of experience’: a preliminary appreciation of the work of Jean Rudduck in the field of student voice. Educational Action Research, 15(3), pp. 323–336. Fielding, M. (2004a). 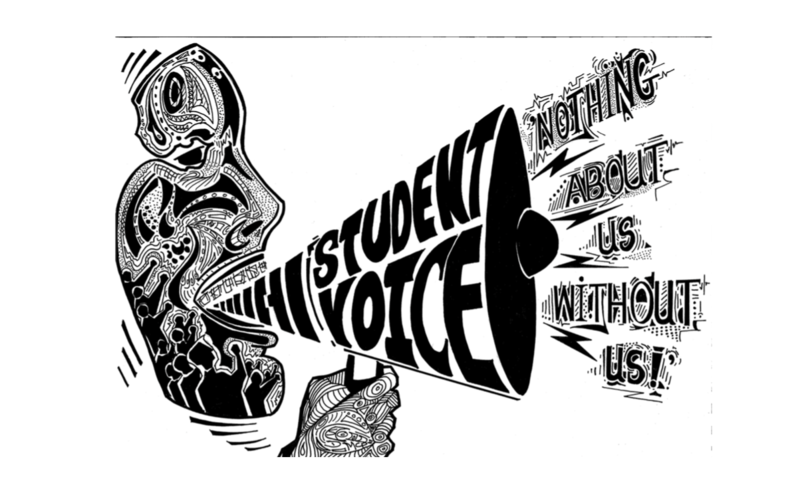 Transformative approaches to student voice: Theoretical underpinnings, recalcitrant realities. British Educational Research Journal, 30, 2, 295–311. Fielding, M. (2011). Patterns of partnership: Student voice, intergenerational learning and democratic fellowship. In N. Mocker & J. Sachs (Eds. ), Essays in honour of Susan Groundwater-Smith (pp. 61–75). Dordrecht, Netherlands: Springer. Fielding, M., & Bragg, S. (2003). Students as researchers: Making a difference. Cambridge, England: Pearson Publishing. Holdsworth, R. (2007). Student voice: A historical perspective and new directions. Connect166/167. Kozol, J. (1991). Savage inequalities: Children in America’s schools. New York: Harper Perennial. Levin, B. (2000). Putting students at the centre of education reform. Journal of Educational Change, 1, 2, 155–172. Levin, B. (1994). Educational reform and the treatment of students in schools. Journal of Educational Thought, 28,1, 88–101. Lundy, L. (2012). Children’s rights and educational policy in Europe: the implementation of the United Nations Convention on the Rights of the Child. Oxford Review of Education, 38, 4, 393–411. Mitra, D. (2007). Student voice in school reform: From listening to leadership. In D. Thiessen & A. Cook-Sather (Eds. ), International handbook of student experience in elementary and secondary school. The Netherlands: Springer Publishers. Mitra, D. (2004). The significance of students: Can increasing ‘‘student voice’’ in schools lead to gains in youth development? Teachers College Record, 106, 4 (April), 651–688. Mitra, D. (2001) Opening the floodgates: Giving students a voice in school reform. Forum, 43, 2, 91–94. Neary, M. (2010). Student as producer: A pedagogy for the avant-garde? Learning Exchange , 1(1). Thiessen, D., & Cook-Sather, A. (Eds.) (2007). International handbook of student experience in elementary and secondary school. Dordrecht, The Netherlands: Springer Publishers. Youens, B. & Hall, C. (2004). Incorporating students’ perspectives in pre-service teacher education: Lessons from the pupil mentor project. Paper presented at the Annual Meeting of the American Educational Research Association. San Diego, CA. Weis, L., & Fine, M. (Eds.). (1993). Beyond silenced voices: Class, race, and gender in United States schools. Albany, NY: State University of New York Press. Wheatley, M. (2002). Turning to one another: Simple conversations to restore hope to the future. Berrett-Koehler Publishers.